Final 2014 Horse Show Lineup Announcement! Today we finally make that last lineup announcement for the 2014 Horse Show. We’ve had so much fun showing off all the bands for this year, and we’re excited to finally share the full lineup with you today. We’re very excited about this last band announcement, in 2013 this band put on one of the greatest performances the Radon Lounge will ever see, and adding them to the Horse Show lineup has been exhilarating. Get excited as The Soil And The Sun are once again coming back to the Springfield area! They explain their music as New Mexican Space Music or Experiential Spiritual Orchestral Rock. 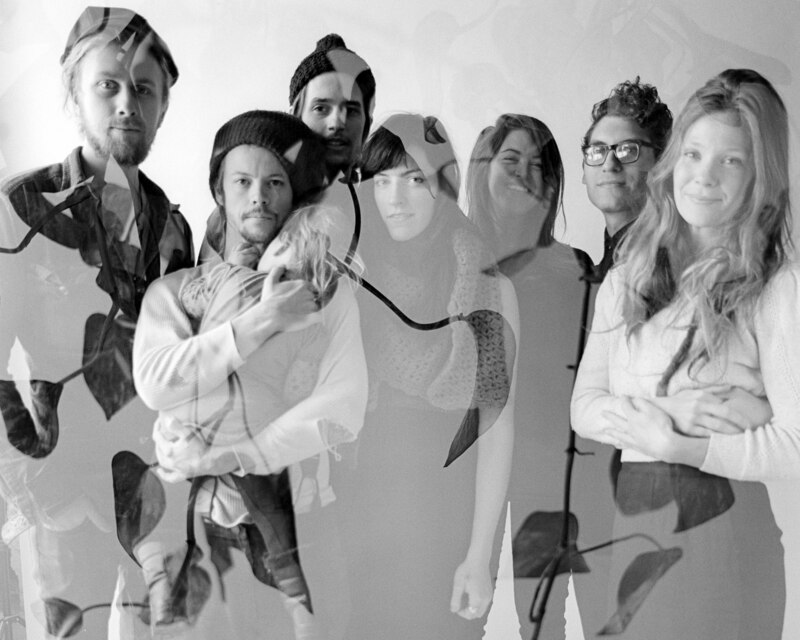 Originating in 2008 as a two-piece band, the group has grown and matured into a seven-piece community of friends and musicians. Oboe, violin, guitars, accordion, percussion, piano, keys and vocals, cooperate to create complex harmonies, layered melodies, and driving rhythms. The careful orchestration and intentional instrumentation will speak to your soul. They are definitely one of those bands that defy description or classification. At the Radon Lounge, we try to find music to showcase that breaths new life, new creativity, and inspires. 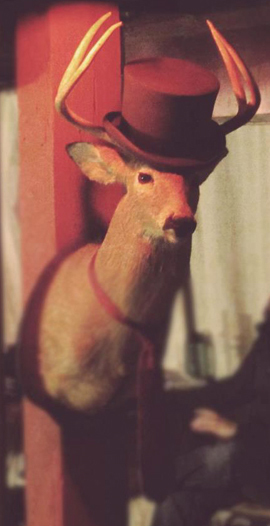 If we were to describe the Radon Lounge as a single band, it would be this band. With this final announcement you can see the entire lineup along with times on the Horse Show page on this site. We’re getting so close to announcing the full lineup of the Horse Show. Sorry for dragging it out so long. Today we’re introducing bands from all over the place: local, semi-local, and Michigan. We’re very excited to have cinematic/electronic duo Filmloom join us again for another awesome show. 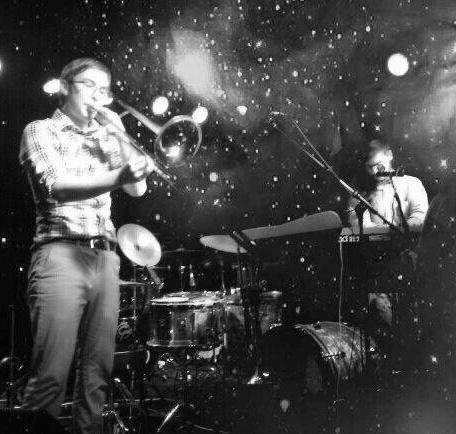 Filmloom played the Radon Lounge last November and put everyone in a trance with their incredible use of keyboards and effects, including actual drums and brass instruments looped into their sound. They are mesmerizing to watch. We think any fan of Sigur Ros, tUnE-yArDs, Sufjan Stevens, and any other band pushing the limits of sound in fresh new ways will really enjoy this. Filmloom is also working on their first full length album, Perennial. We’re also excited to announce Meredosia from right here in Springfield, IL. Meredosia is best described as post-rock/post-punk and is a regular performing band at the Black Sheep Cafe. They recently played the first Radon Show at Black Sheep which featured King of Prussia and Case Conrad from Europe. Members of Meredosia also play in other local bands Asthma, Mildred, Mouth’s Ex, Slam Dinner, and Soap Scum. 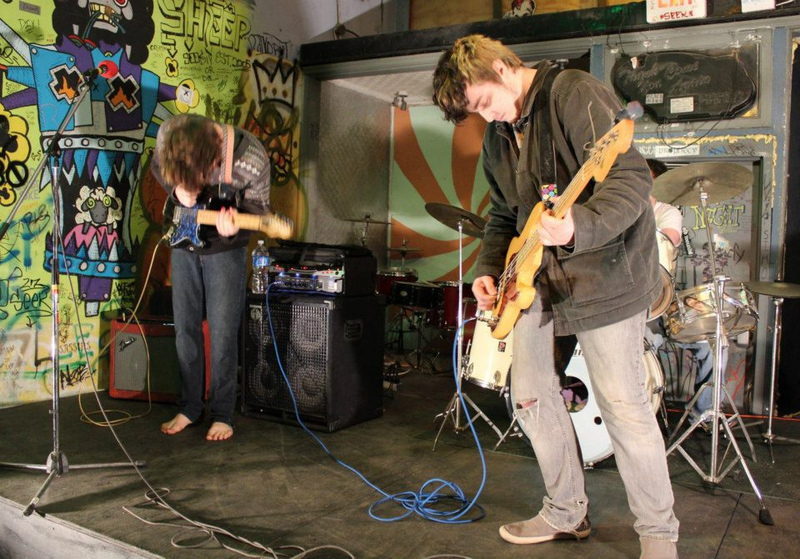 Last announcement today is alternative band Until The Hour, from Jacksonville, IL. 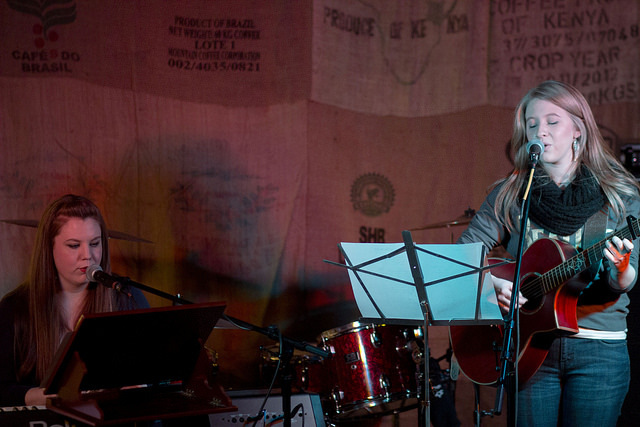 They played a great set back at the Karen Koenig CD Release party the Radon Lounge hosted in 2013. This band would work well for fans of Coldplay, Tenth Avenue North, and The Fray. We still have one more lineup announcement to make, and it’s definitely a “last but not least” scenario. We’re finalizing the Horse Show lineup this week and announcing the rest of the bands! We’ll roll these announcements incrementally in the next few days so we can spend more time describing each band or artist. 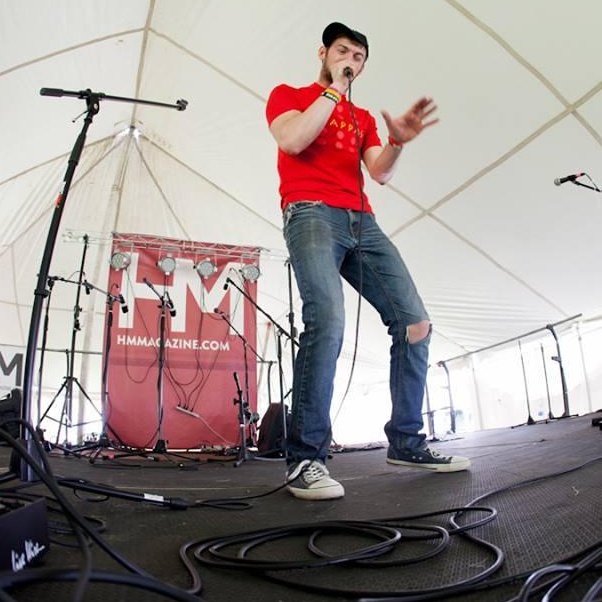 Today we’re focusing on local musicians introduced to the scene through the Radon Lounge. When we started Radon, we just wanted to bring “cool bands” to Springfield. Now we’ve been around long enough for bands to start forming organically, mostly due to the cover shows and open mic nights. We’ve already announced the Phoenix Sons and David Lasley, we’re now going to announce Jordan Bauer and Anchored Souls. 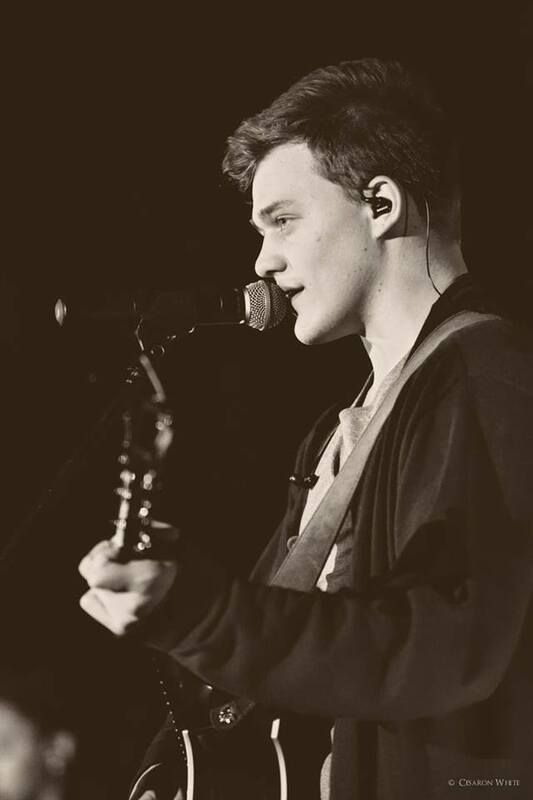 Jordan Bauer doubles as the student ambassador of Lincoln Christian University, and is a very versatile musician. Jordan can be seen filling in at various church bands around the area, as well as playing his own material at special university concerts and other venues. Jordan has brought his special blend of jazz and folk to the Radon stage/carpet a few times now and we’re excited to see him fill a spot in the Horse Show lineup. Jordan will be sure to bring friends playing various instruments to make his set truly something to see. Also in the list is brand-new singer/songwriter duo Anchored Souls, composed of Meg Todd and Chelsea Beran. These two performed together at the Radon’s Beatles Cover Night, and we’re excited to see these two create original material starting with The Horse Show. Be sure to check out the Horse Show page on this site as well as the facebook event page. The full lineup for the 2014 AudioFeed has been announced! 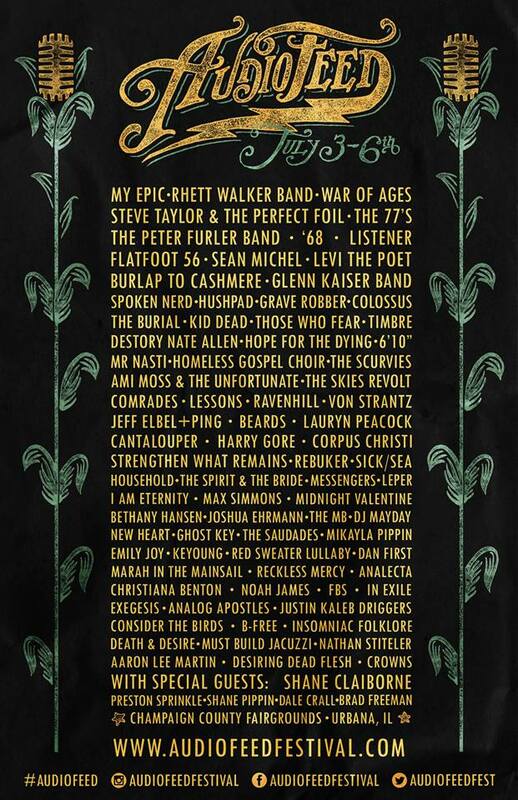 Check out the official fest poster! Quick Horse Show update, VON Strantz has been announced! They’re also hoping to raise money for the these new EPs as well as a new touring van. This is could be the investment opportunity of your lifetime? Check out their Indiegogo campaign here. In case you haven’t noticed yet, we have a facebook event page up for the 2014 Horse Show! Plus we’re restructured our website a bit to separate our two festivals we either host or play a part in into separate pages, Horse Show and AudioFeed. Now, we’ve got an exciting new lineup announcement for The Horse Show. Given we have a lot more spots to fill, we really want to provide a variety of genres. One major overlooked genre would definitely be hip hop, and we’re excited to announce the following! First up, Choo E. Valentine (born Sherman Benard Mason III on March 31, 1987) is a American rapper, singer, producer, songwriter, entrepreneur and CEO of No Fiction Records and Differentia Productions. Choo is also a member of The Black Mothmen, The A.P.P.L.E.S.A.U.C.E., andThe (RE)Minding. He has resided in Springfield, IL all his life. As a young boy, Choo dreamed of being a cartoonist and author of graphic novels. He spent hours honing his drawing skills at his Grandmother’s house but began writing rap lyrics in the 6th grade.”I wrote about stupid stuff. Women, cars, all that mess. That’s what I thought rap was. I didn’t dawn on me that I was even lying.” he says. Next is B-Free aka Quentin Winder, from Springfield, IL. 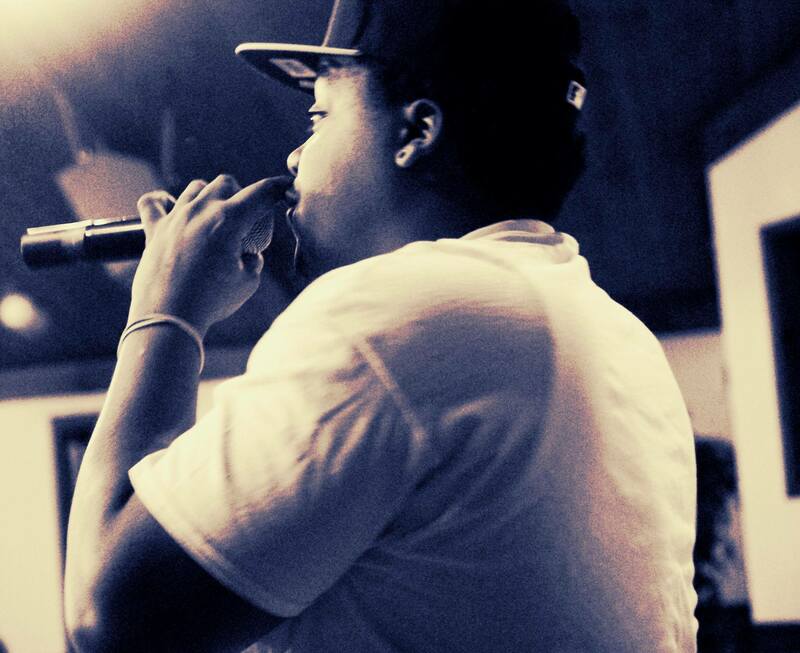 B-Free’s mission is to deliver the freedom of Christ with a melody that is Biblically sound. He has been rapping since 2009, but it wasn’t until the summer of 2011 that he felt God tugging at his heart to change his ways and use his music to glorify God. At a young age B-Free accepted Christ, but his actions were not always a true reflection of who Christ was. Also playing the show is Zach Ayappa, better known as The MB. If you’ve seen him on stage you would be quick to notice his feel good, care free, loving life style. His passion to entertain you with non-stop stage banter, insane dances, awkward moments and raps, that are then mixed with unparalleled truths makes him a voice like no other. Running the one’s and two’s for this awesome showcase is none other than DJ Mayday. He has been spinning music for Jesus Christ since early 2010. 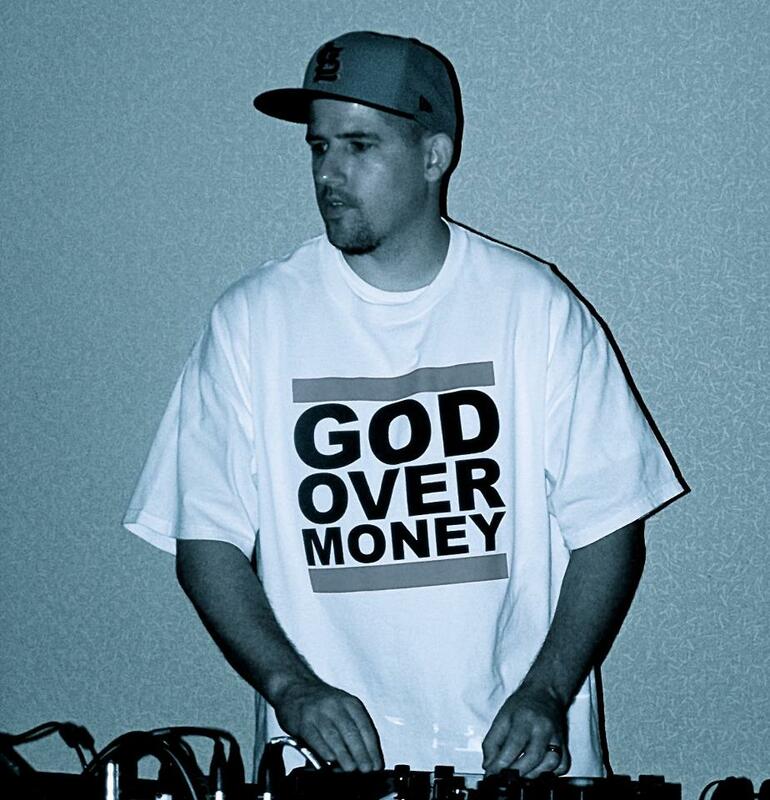 Since he began spinning, he has been able to share the Gospel through Christian Hip Hop on various stages and by DJ’ing for various artist. “Sharing the Good News of Jesus Christ through Christ Centered Hip Hop with the youth in our community is my #1 goal” DJ Mayday was quoted saying. 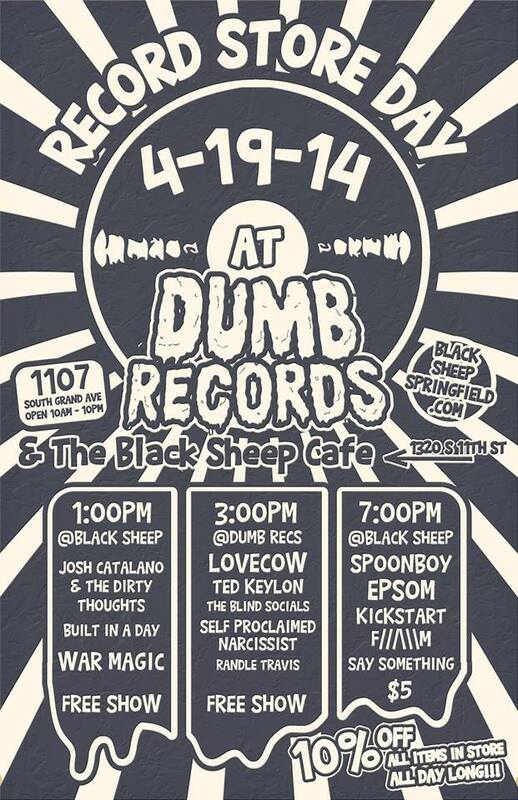 Our Dumb friends have a lot of stuff in store for Record Store Day 2014. 3 shows will take place at the the next door venue Black Sheep Cafe, plus Dumb Records has been hoarding all the good stuff for this special occasion! This coming Monday, April 14th, we get the privilege of hosting 2 really great bands with members from Sweden and Spain. We’re pretty stoked. This show will be hosted over at the Black Sheep Cafe, so don’t show up at the Radon Lounge. BXS is located at 1320 S. 11th St. here in Springfield, IL. From Sweden comes Case Conrad, a melancholic dreamy soundscape appropriate for the April showers surrounding us all. But the sound is swelling, there is hope. Check out their video for Copper Thief below. Also on tour is King of Prussia. Their members are split between Barcelona, Spain, and Athens Georgia. We’re still trying to figure out how they make that work. Their sound is considerably more upbeat compared to their tour mates, but they still key right into that very European sounding vein of indie rock. They just released their new album “Zonian Girls”. Here is a brand new video just released for that album. Also on the show are local bands Meredosia and Full Chroma. Meredosia just announced a new EP! This will be a very solid show, especially for a Monday night, hope you can make it! It’s only $5, plus free coffee and food! Earlier today we posted on our Facebook page the unfortunate news that the Radon Lounge will be closing down after the May 17th show. We’re really sad about that and stuff. But we don’t want to dwell on the dark parts of life and continue to find joy in our local music community. 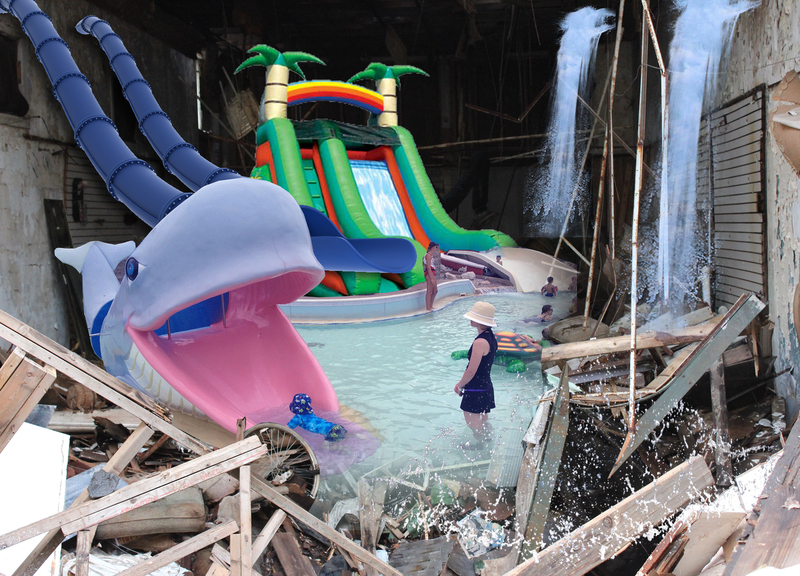 Fortunately The Black Sheep Cafe has stepped up to the plate with the announcement of a NEW WATER PARK! Head over to BlackSheepSpringfield.com to find out all about it!